Each year the Diocese of Westminster organises a pilgrimage, taking the sick, infirm and disabled pilgrims to the Shrine of Our Lady of Lourdes. There are many sick people who wish to visit Lourdes but are unable to do so due to financial constraints, and depend on generous donors. With this in mind, 15 year old William Lavery did a walk for Lourdes to raise money for sick people to join in this years pilgrimage from 21st -27th July. 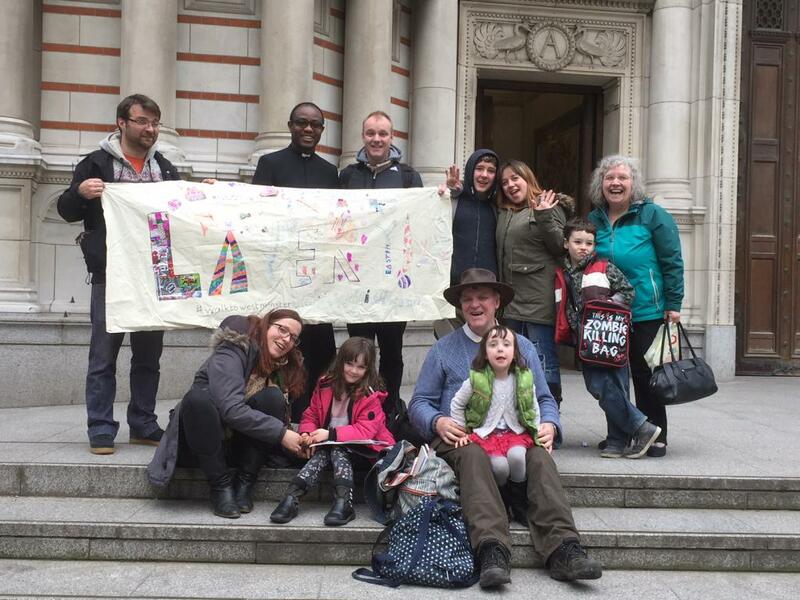 William began his walk accompanied by grandfather Bob Lavery from his parish church St John Fisher in Shepperton, covering 25 miles following the river Thames downstream and ending at Westminster Cathedral where he was welcomed by Cathedral Chaplain Fr Michael Quaicoe. The Lavery’s have a dedicated fundraising page where you can donate. Please visit the link https://www.gofundme.com/bob-amp-william-walk-to-westminster or contact Katrina Lavery for details Katrina.Lavery@clovershipping.com.